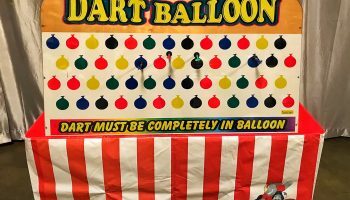 Giant Suction Dart Balloon Game is a very fun and safe carnival game rental for ages 4 to adult. 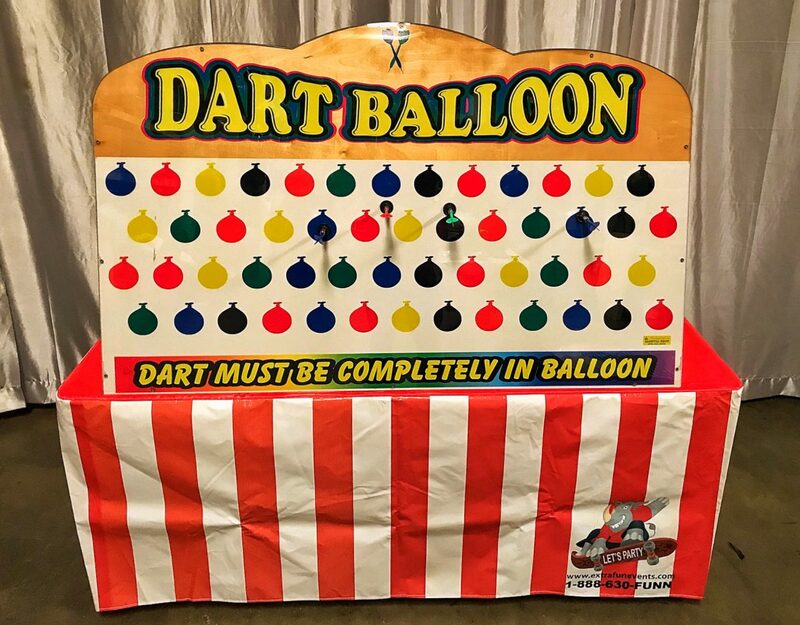 Measuring at 5 feet long this will have your guests challenging themselves to see if they can get there suction dart inside the balloon to win a prize. 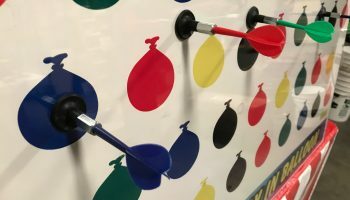 The Giant Suction Dart Balloon Game has a front piece of plexiglass to make the special suction cup darts stick to the game. This makes this game very safe and great for all ages. 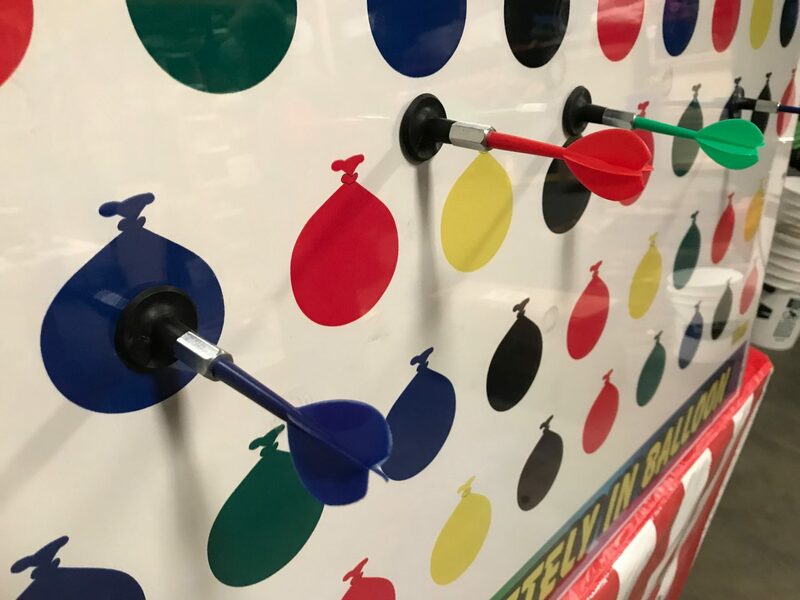 Trying to get your Dart completely inside the balloon is a lot harder than it looks. Check out our video to see how the game is played. We provide 8 safe suction darts for every rental. 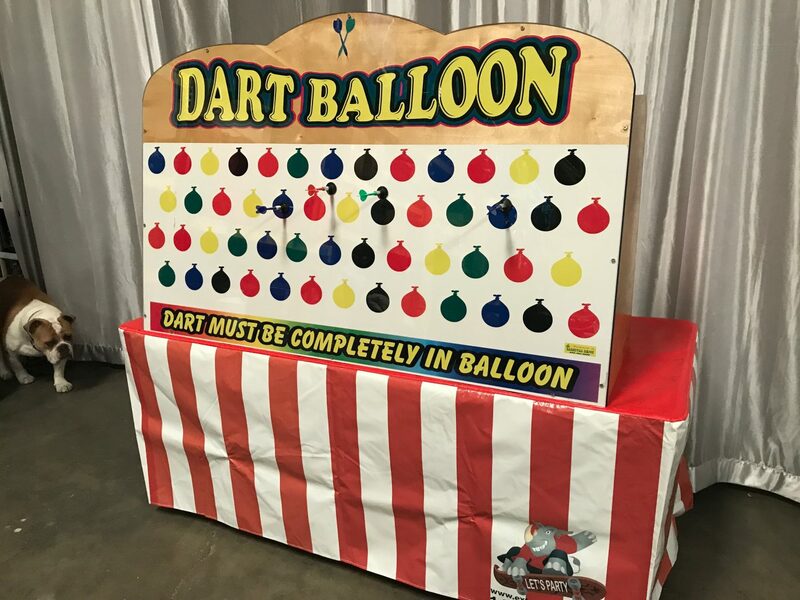 A 6 foot table works best for the Giant Suction Dart Balloon Game. 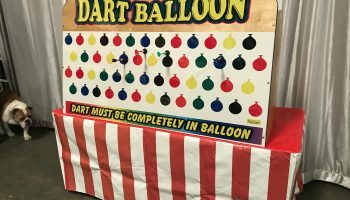 We can provide a 6 ft table (8.00 additional) and a carnival theme table cover( 8.00 additional) to make this give the real carnival theme feel.